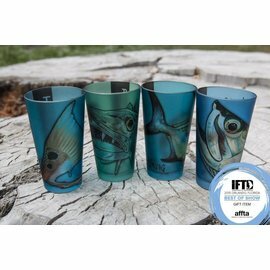 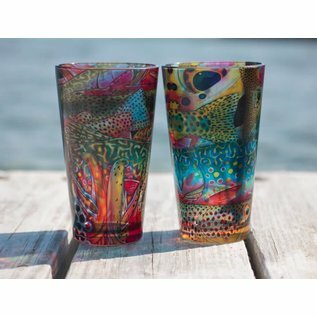 Drink up a cool beverage in these attractive pint glasses. 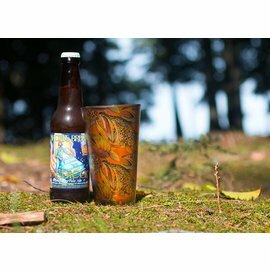 These heavy duty, 16 oz. 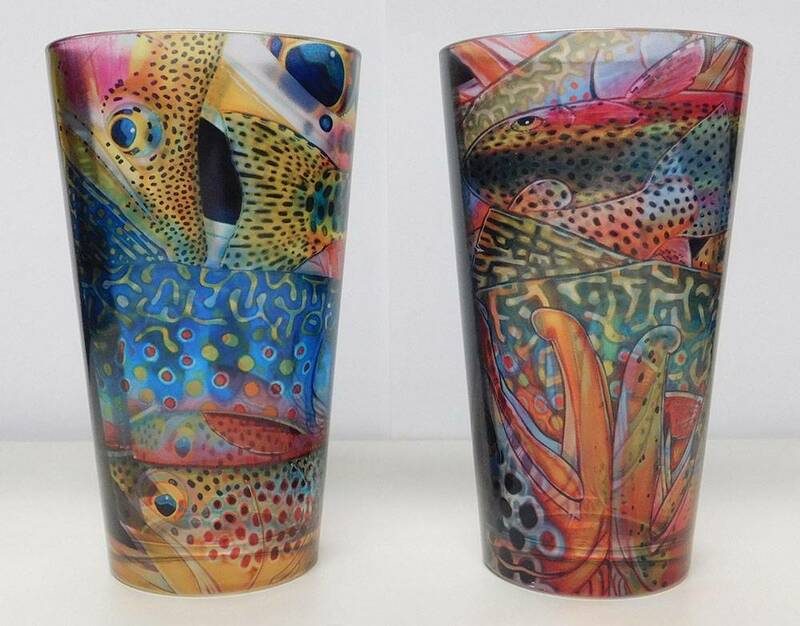 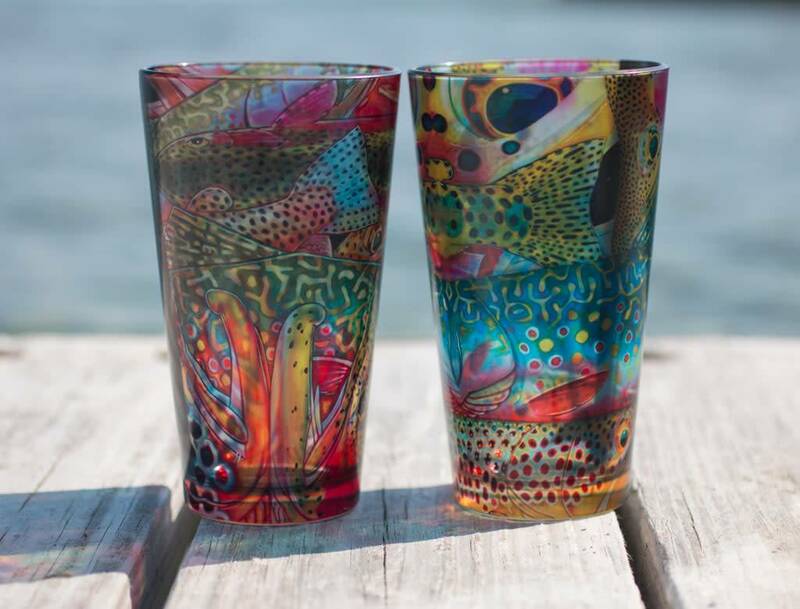 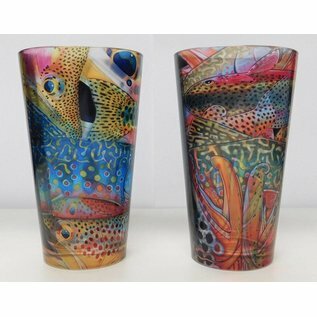 pilsner glasses showcase the best of DeYoung’s Trout Confetti Series in a beautiful fully wrapped print within the glass. 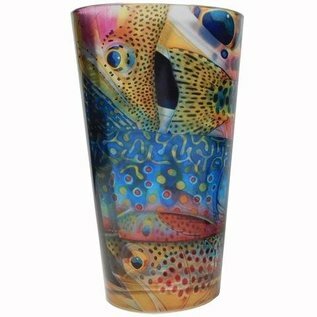 Microwave safe, but not dishwasher recommended. Made in the USA.